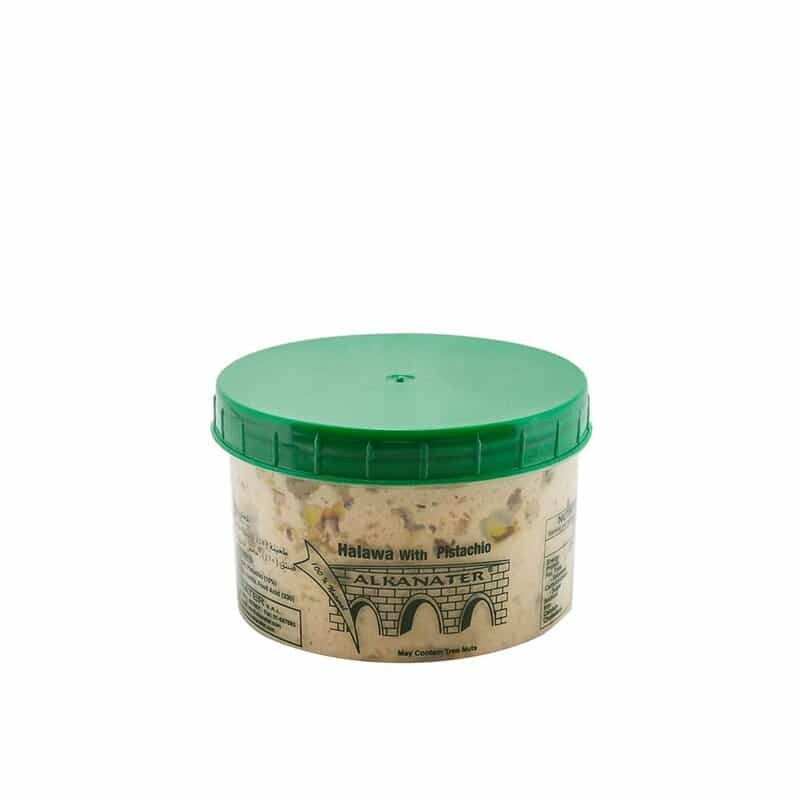 Alkanater Halva with Pistachio is the premium style of Halva. It contains lightly toasted Pistachio nuts and has a crumbly texture. It can be cut into bite sizes pieces or served with a spoon. Its best enjoyed spread on pita bread or toast.